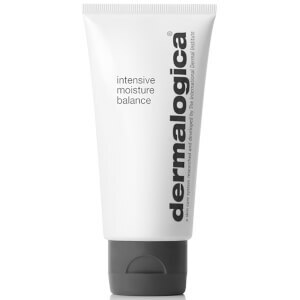 Dermalogica Active Moist is a silky, lightweight oil-free moisturiser that absorbs without a trace, creating an invisible barrier against moisture loss. This fragrance free moisturiser is suitable for normal to oily skin conditions. 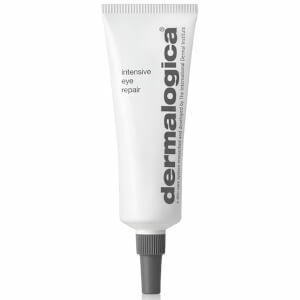 With a sheer, easy to apply formula containing silk amino acids and a unique combination of plant extracts that help smooth and improve your skin's texture, Dermalogica Active Moist contains natural astringents of lemon, watercress and burdock help to refine your skin, whilst soothing extracts of lavender, mallow and cucumber provide deep hydration. After cleansing and toning, apply over your face and throat in light, upward strokes. I am engaged in an ongoing battle with cystic acne and a dermatologist recommended I overhaul my skincare products and switch to oil-free. I used to use the Skin Smoothing Cream and I loved the texture of it, but it was too heavy for my oily skin. I've been using Active Moist for around 12 months now and this combined with other oil-free Dermalogica products, oil-free makeup and regularly cleaning my makeup brushes has made a big difference to my skin. I still get outbreaks, but nowhere near as often. Active Moist spreads really nicely over the skin, so I don't need to use loads of it. I use a little more in the evenings before bed. It's lightweight but still has a satisfying texture - my skin doesn't feel tight after applying it, which I've found in the past with other lighter moisturisers. I can't quite get away with using it as an eye cream, which I used to do with the Skin Smoothing Cream, but that's fine. If you have oily skin and need a lightweight moisturiser that still gives you that smooth, hydrated feeling then this is the one. A bit pricey but this is the only moisturiser I have found that works for my acne-prone skin. Since starting using it I have had significantly fewer breakouts and my skin looks and feels better! A little goes a long way and each bottle lasts me several months, so in the long run doesn't work out to be too expensive. I order the normal/oily skin care set and this moisturiser comes in it as a sample size of 22ml. It is THE best moisturiser I have ever used! It makes my skin feel so smooth and silky without a trace. It absorbs into the skin so quickly and a little bit goes a long way. Would most definitely recommend this moisturiser to anyone with combination skin. I always like to wait a while before writing a review and after trying this and other Dermalogica moisturisers for the past few months I would not go back. Before using these products my skin was dry, blotchy and overall lacking lustre. Now my skin is radiant, clean and less patchy. I have seen a noticeable difference which is something I've not had with other brands. Now all I buy is this brand and will continue to do so seeing as I've been happy with the results. As the supplier of Dermalogica product for my daughter-in-law, I not only know how much she loves them but I can also see how beautiful she looks when she uses them. This cream moisturizes really well. I am delighted. My skin is sensitive and dry on the surface but oily in the T-zone with enlarged pores and occational outbreaks. Active moist has made my skin smoother and the skin tone more even. The T-zone is still shiny and pore size is the same but the skin is definetly clearer and well moisturised. I noticed a difference after just a few days. 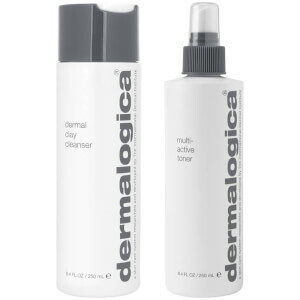 I use it with a Dermalogica cleanser. Great that I can use the same moisturiser morning and night. Active moist worked better for me than the Oil control lotion, that dried out my skin too much.